In 1997, the Institute for New Era Strategy (INES) was founded as a company limited by Mr. Tetsuo Kondo, former LDP member of the House of Representatives, after his retirement from politics. 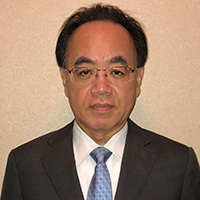 Mr. Kondo began his career at the Ministry of Finance, and as a Diet member, he held the posts of Minister of Labor, and Minister of Economic Planning. Throughout the years, INES has undertaken research from a private sector stand-point, with the aim of making policy proposals with fundamental solutions for urgent issues in the areas of economics, finance, politics, foreign affairs, etc., and has continually provided a forum for learning through the arrangement of breakfast study sessions. INES re-started its operations as a general incorporated association in July 2018, and will continue to provide a venue for people to gather and deepen discussions on the issues that Japan faces now and in the future. INES aims to make policy recommendations aligned with the new era and conducts the following businesses. Born in Chiba on May 24, 1985. Mr. Asai succeeded INES Co. Ltd. In 2009 and took the president’s office. In the breakfast study sessions every month, he presents policy analysis on political system, fiscal policies, financial issues and others. Also provides advisory services on public policies to Diet members, government offices, corporations and other organizations through research, survey and planning. After graduating the university, he entered a consulting company and provided serves to mainly clients from overseas in the areas of IT, finance, pharmaceutical, food, energy and others. Since 2013 he has been a Director at a public policy advisory company . Born in Oita on October 21, 1952. 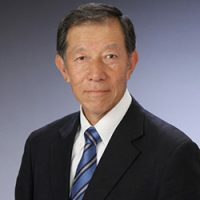 Mr. Umeda graduated from Okayama University, Faculty of Law and Literature, Department of Law in 1977 and received MBA at Keio Business School in 1987. 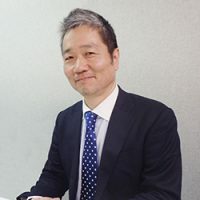 He joined Taito Pfizer (now Pfizer Japan Inc.) as a Medical Representative, became a Director in charge of management planning in 2005, after experienced marketing, New York Headquarters, and Australia. He also served as the Director in charge of Personnel, General Affairs, and Drug Business Promotion, and promoted to Managing Director in charge of Primary Care Business Unit in 2009. Mr. Umeda took the seat of President of Pfizer Japan Inc.
in December, the same year. He retired Pfizer in 2018 and became the Chairman of INES, upon its establishment. Born in Osaka on April 18, 1957. Graduated from Kansas State University, Faculty of Business Administration. 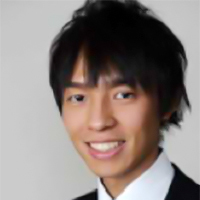 Mr. Tanaka joined Nomura Securities and served to institutional investors at Tokyo, and New York. He then joined New York Headquarters of First Boston Securities and served institutional investors, and joined Merrill Lynch, New York and Tokyo. He joined the start up team of Funai Capital, a subsidiary of Funai Soken. Currently Managing Director of Global TaNK (communications), and MJM (investment fund), and a Director of Albion Art (Jewelry), and Eat (bio R&D). 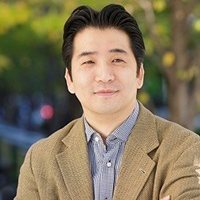 Managing Director of Japan Counselors, a communications consulting firm for corporate clients. Graduated from Hosei University, Faculty of Business Administration and joined Japan Counselors. For over 30 years, he served to more than 50 clients most of which are foreign corporations, and planned and executed communications strategies. He took a position of Senior Consultant in 2006. He became the General Manager, Public Affairs Department in January, 2013. INES has managed breakfast study sessions, picking timely and important issues in a wide range of fields such as the economy, finance and international economy. For every study session, INES has invited the highest quality speakers, while the study session attendees have included Diet members, local assembly members, government officials, executives from major businesses, academics and economists. INES facilitates active discussions between speakers and participants. Based on the result of the breakfast study sessions, INES makes policy recommendations to stakeholders. INES is proud to have hosted sitting Ministers and other superb speakers who are leading figures in the Japanese economic community, academia and other fields. The three consecutive Governors of the Bank of Japan, the Minister of Health, Labor and Welfare, the Director-General of the Budget Bureau of MOF, and the Chief Medical & Global Health Officer of the MHLW have been our speakers in the past. In the 21-year history of INES, we have had around 300 speakers.